Are you a gamer with a single monitor? Do you want to read chat conveniently from inside the game? This article is for you. If you want to stream games with Restream, you normally want to communicate with all of your platforms. Restream Multichat is one of the best ways of doing this, but what if you have only one monitor to play and no second one to read messages from? 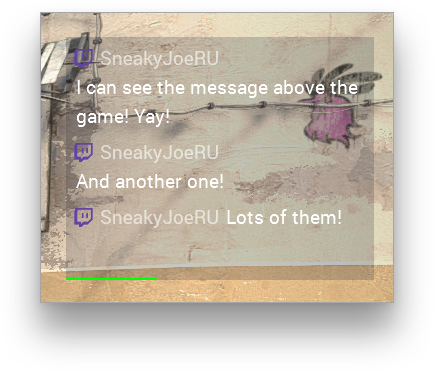 One of the best ways is using your mobile phone or tablet to read messages with Embed chat in stream link, but there's another solution, which is a non-intrusive way of doing this, unlike using in-game overlays, so you will not have any problems with custom anti-cheat systems. 1. Press a button with two squares in the top right corner of Restream Chat application to switch it to compact mode. Doing this will allow you to have more messages on the screen without covering too much of screen space. 2. Go to chat settings with the gear icon, and switch to Appearance tab. 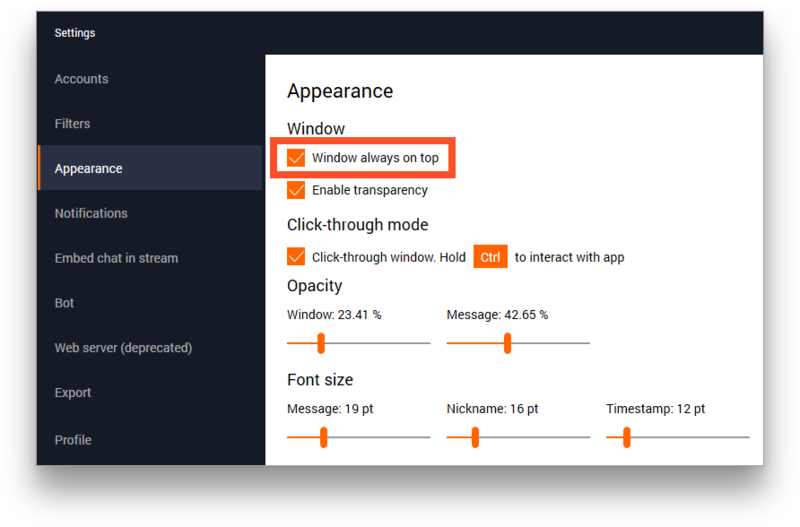 You want to enable "Window always on top" option, and in the most cases, you'll also want window transparency and click-through window to prevent chat from grabbing focus in intense moments. Tip #1: After enabling Click-Through you will be able to interact with chat only with the designated button pressed. If you change it, remember which one you selected. Tip #2: You will normally need at least 5% of window opacity to be able to see chat after launch and to know which area to interact with. If you set it to 0, it may be hard to find, especially with click-through mode enabled. 3. Now, when the chat is setup, you need to set up the games you will be playing. For the chat to be shown above them, the games have to be switched to windowed mode. But don't worry, as most of the modern games support windowed fullscreen mode, which will do just fine for our task. 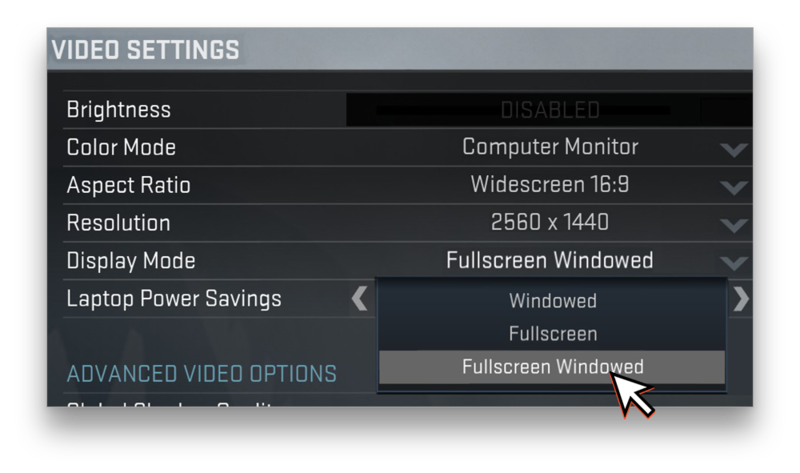 Go to game's graphics settings, and in Display Mode select Fullscreen Windowed, or Windowed Borderless and set the resolution to be equal with your monitor's resolution. 4. Now you can setup your chat position inside the game. Play with opacity levels and font size in chat settings to get the most comfortable look. In the most cases, you'll be able to clearly see both messages and the game due to messages remaining static, and the game background changing all the time. 5. If your game does not support Windowed Fullscreen mode, but still supports windowed mode, there's an application called Borderless Gaming. You can download from a repository at GitHub (9.5.1) or buy it on Steam. 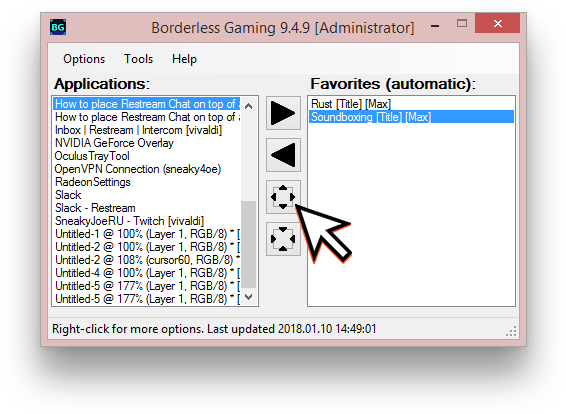 This application will allow you to switch any game to the windowed fullscreen mode by clicking the "borderless" button. 6. For even older games, there's another tool called DXWnd. It will allow you to run old titles on modern hardware, and also will provide you with a way to launch those games in windowed mode. Click with a Right Mouse Button in the main window of an app, select "Add", and give the tool a path to your old game. 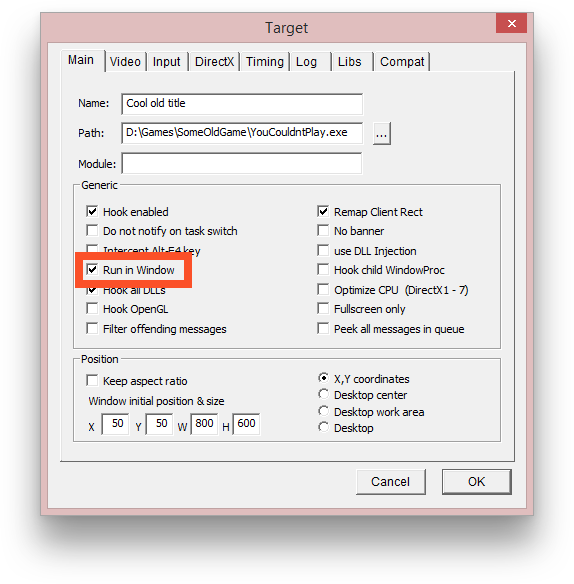 Make sure that "Run in Window" option is enabled, then click OK and launch it from the main window of DXWnd. 7. If your game still comes back in front of your chat while you click it after setting it to windowed fullscreen, try removing "always on top" setting for it. One of the ways of doing it is downloading and running AlwaysOnTopMaker and pressing Ctrl+Alt+T while the game is in focus. Another applications that allow setting and unsetting "always on top" feature will also be able to help you with game overlapping the chat. That's basically it. Now you can play your favorite games on stream while having your chat on top of them. Have fun!